In a large sauté pan heat the carrots seasoned with Kosher salt and butter on medium heat covered. Cook for 10-15 minutes until tender. Add the lemon juice, zest and honey. 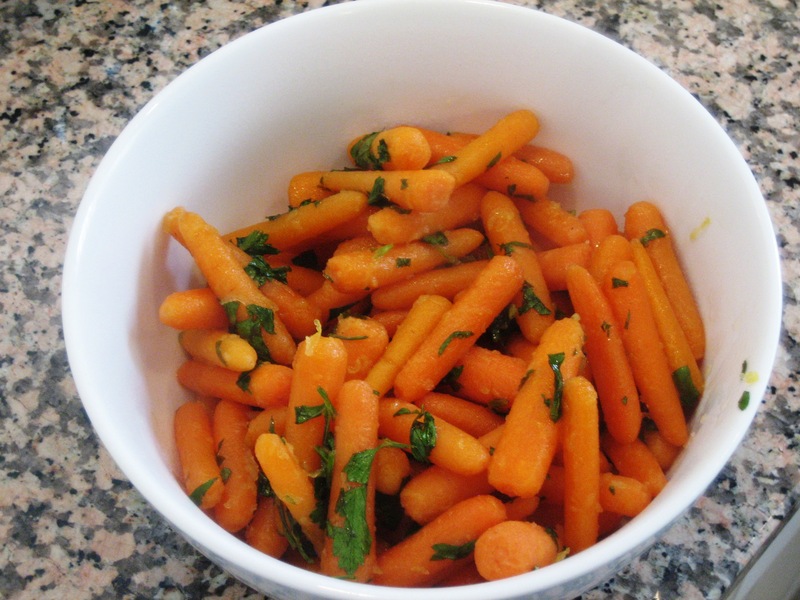 Stir and incorporate well with the carrots. When well combined, cook for another 3 minutes and add the chopped parsley and serve immediately. Copyright © Copyright andicakes 2010. Recipe by yumm yumm yumm. Enter your email address to subscribe to Andicakes and receive notifications of new recipes. We will not share your email with anyone!